Minnie Mouse Grab and Go Tote. You can never have too many totes, especially when sewing is the theme for the design and decoration. 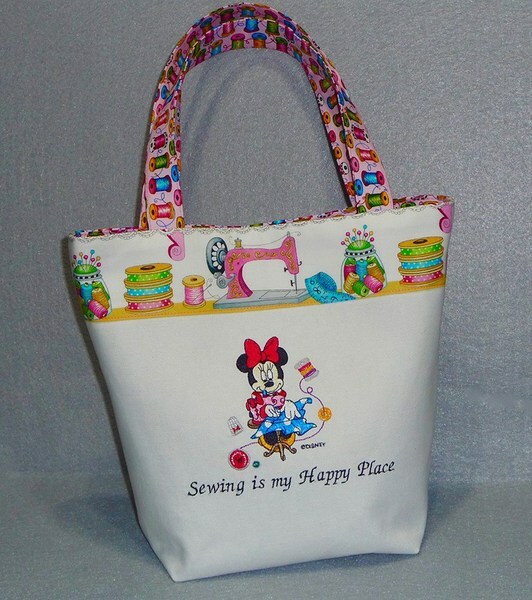 This tote features Minnie at a sewing machine; it’s a design built into the Brother NS1750D. Cute, cute, cute! LCD Size (Horizontal x Vertical) inches 3.2" 1.8"
Machine Dimensions (H x W x D) 16.50" x 7.64" x 12.09"
Introducing the Innov-is NS1750D by Brother. 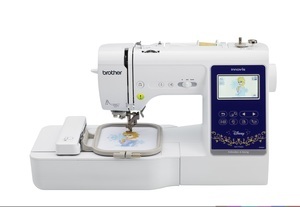 The Innov-is NS1750D combination machine sews, quilts and embroiders. You’ll love how smoothly it operates, how easy it is to use and what an absolute joy it is to work with. Thats why we say, good things come in threes; We are confident that you will agree. 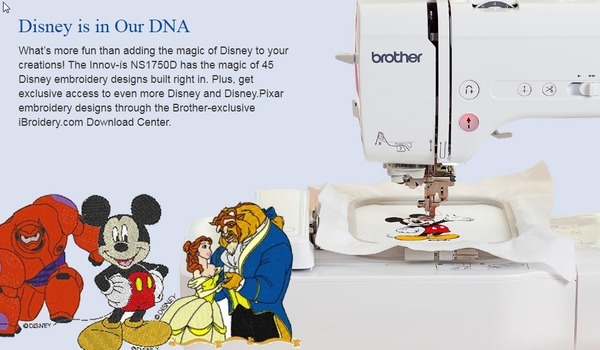 Innov-is NS1750D Quilt Piecing, Quilting and Free Motion Stitching. 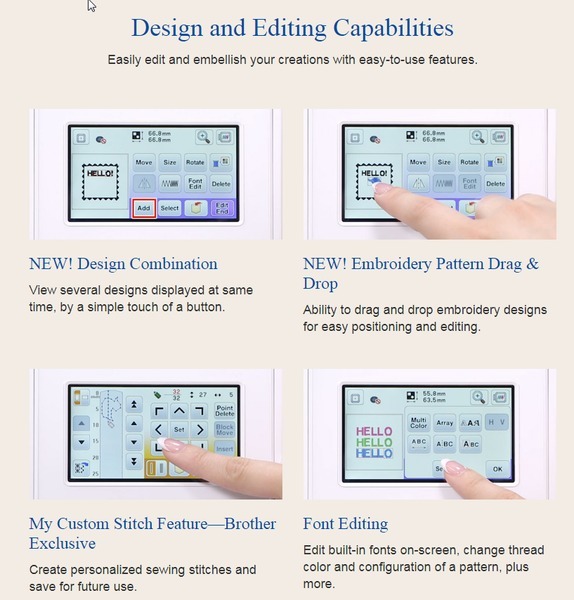 Create beautiful quilting projects with the Innov-is NS1750D. Included Embroidery Hoops	4" x 4"